Relations with the dynamically developing Azerbaijan - a progressive, open Muslim country are of particular value for Israel, former Israeli Prime Minister Ehud Barak said in an interview with stmegi.com portal. “In my opinion, both countries are young modern nations with a thousand-year history and great traditions of seeking peace and stability. We have developed interaction and cooperation in such areas as defense and security, which benefits both sides. We have taken important steps in many other areas”, he said. He noted that Israel especially appreciates the open dialogue held with Azerbaijan under the leadership of the national leader of the Azerbaijani people Heydar Aliyev. “I am proud to have personally known him and worked with him on international issues as the prime minister of Israel. And, of course, we are happy to work with the highly respected President of Azerbaijan Ilham Aliyev”, Barak added. The politician said that the countries already cooperate in many spheres, and expressed confidence that agriculture could be a promising area for cooperation, where Israel can develop progressive and efficient agrarian systems. “Another field of cooperation may be the energy sector, where Azerbaijan has had vast experience in such fields as oil, gas, pipelines. Israel is a newcomer to this field and can learn a lot from Azerbaijan," the former minister added. Ehud Barak also noted that a long history of the great tolerance under which Jews lived among the Azerbaijani people can become an example for the whole world. 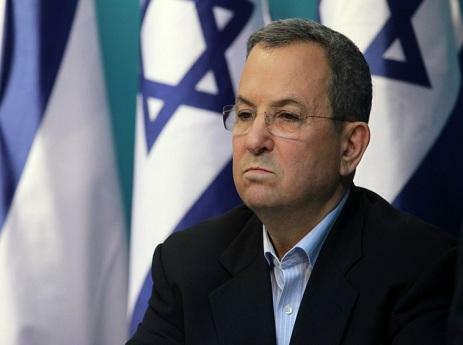 “Jews from Azerbaijan play an ever-increasing role in all spheres of life of Israeli society and are a living bridge between our peoples”, Barak said. Regarding cooperation in the military sphere, Barak said that today the Azerbaijani-Israeli military cooperation is developing very actively. “Baku buys drones and armored vehicles, anti-tank missiles, antiaircraft and many other modern weapons from Israel. Some of these weapons were successfully used in combat conditions. By the way, during the years of cooperation, Israel and Azerbaijan signed contracts worth almost $5 billion, most of which, as President Aliyev noted earlier, has already been realized. According to the recently published report of the Stockholm International Peace Research Institute (SIPRI), Azerbaijan is among the three largest buyers of Israeli weapons, military equipment and technology. According to SIPRI, Azerbaijan has bought arms from Israel for $137 million", he added.